Sell your goods to Mr Money!! Need to fill a financial gap at the start of the month? Do you own valuables that just sit around gathering dust? Whether you simply don't use these items or have inherited them, we can take them off your hands for cash that you can spend on something you WILL use and love! Our highly trained personnel have given service to well-known individuals, a majority of whom, wealthy or not so wealthy, have gone through challenging financial episodes in their lives - much like yourselves! So don't be afraid to ask us for help. Mr Money buys jewellery, collectibles, art and antique's. This includes, but is not limited to: Earrings, necklaces, watches, bracelets, rings, diamonds, rubies, emeralds, gold and silver and coins. Watch brands such as Rolex, Patek Philippe, Cartier, Panerai, Breitling, IWC, Montblanc, Vacheron Constantin, Audemars Piguet, Franck Muller, Piaget,Tag Heuer and many more are welcomed. Give us a call for for some helpful information - we offer free step-by-step instructions on how to get the highest and best amount of money for your valuables. You are in charge from start to finish. 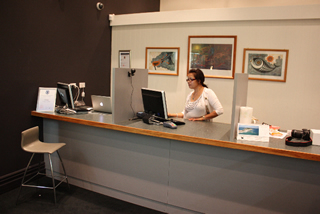 When you enter our offices, we will take a look at your items and assess their worth. You can be confident that our appraisers have sufficient experience to give you the best price in the market. Once an agreement on the price has been made, you leave with the full payment in your hands! Sometimes, our client’s preference is to keep their valuables because they want to continue to wear or use them down the road, or because of their sentimental value as precious family heirlooms. So it is not always necessary to sell. Mr Money also makes cash loans - for more information on how to go about arranging a loan, click here or visit the "loan" tab.